Sitting volleyball is an adapted sport where the game of volleyball is played on a smaller court with a lower net and all players must sit on the floor. The court dimensions are 6 m wide by 5 m deep on either side of the net. In competition, the net height is 1.15 m for men and 1.05 m for women. At a community level, players with and without physical impairments can play together in this integrative sport. However, to compete internationally athletes must have a permanent physical impairment. 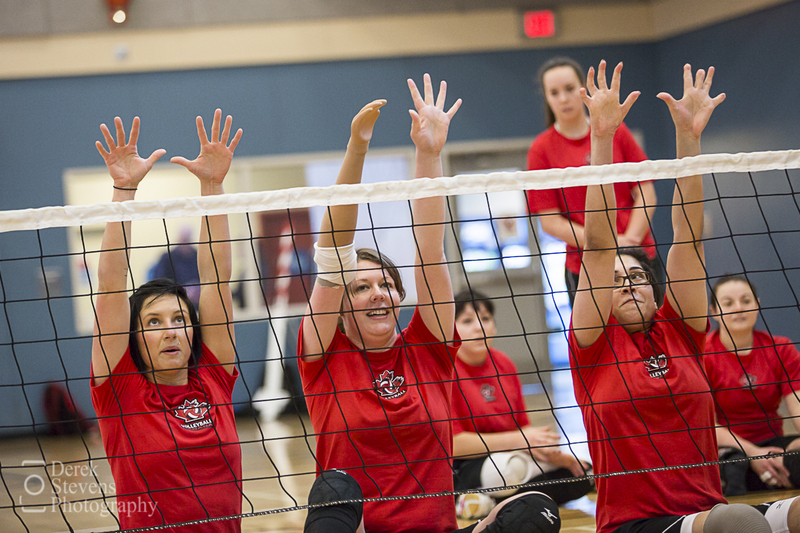 Sitting volleyball has become popular among spectators of para-sport because of its fast action and exciting game play. It is also a good choice to implement at the community level as an adapted or integrated recreation activity because there is no need to buy specialized equipment. Visit Volleyball Canada’s website for details on rules and classification. 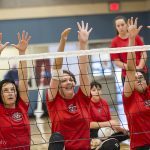 As part of the Volleyball BC Coaching Symposium Ian Halliday, Director of High Performance Sitting Volleyball with Volleyball Canada, will facilitate an introduction to sitting volleyball coaching workshop. The VBC Coaching Symposium is offered in conjunction with the BC Sport Conference. Click here for more information. For BC athletes with physical impairments who are interested in high performance development, please contact Volleyball Canada.